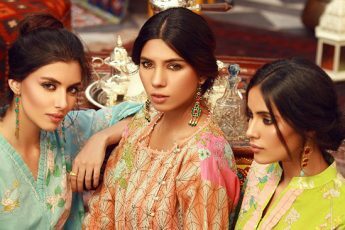 A woman thinks, breathes and speaks in colours, and Phulkari’s Florists Eden Summer Collection 2018 by Taana Baana is a vista of all the beautiful colours of summer and spring woven in fabric for every woman. 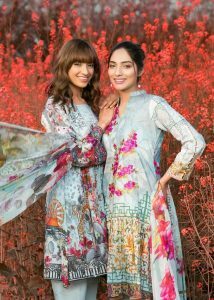 The summer season is a blend of bright hues, subtle patterns and florals, and therefore, Phulkari has liberated the essence of this season and brought a floral giveaway delivered to you through their prints. 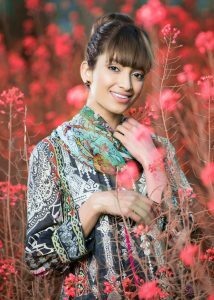 Florists Eden has a range of 20 aesthetically designed digital prints in the form of one piece, 2 piece and 3 piece suits – something for university students and adults to pick and choose from. 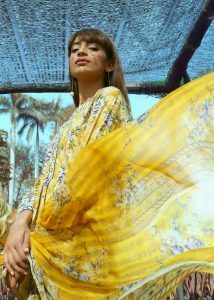 Everything magical happens in Eden, so with a gold-yellow powdered sun colour reflected in a 3 piece suit or a sea bed of blue and green waves and floral patterns that have been incorporated in single piece shirts with the right amount of tint and flavor are the ultimate picks if you want to lighten up your wardrobe. (Trend Alert: Fringes and tassles are fad world-wide and come in different shapes and sizes, so you can adorn your dress with one of these for a trendier look). The price of single piece shirts begins from Rs. 1,790/- for digital lawn print or print embroidery shirt, 2 piece suits at Rs. 2,390/- for a digitally lawn printed shirt and plain trouser, Rs. 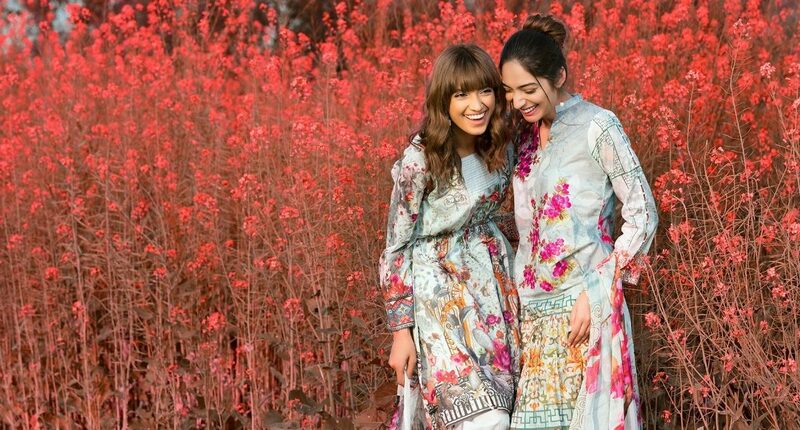 3,290/- for a 3 piece suit with digitally printed lawn shirt, plain trouser and a crinkle chiffon dupatta, and Rs. 4,990/- for a 3 piece suit with a digitally lawn printed embroidery, plain trouser and a printed silk dupatta. So, the prices are competitive and smart for suits that have embroidered designs, display a mix of patterns and look chic at the same time. Phulkari’s Florists Eden is a viably pleasing summer collection that will immediately revive your state of mind, because each print will encapsulate your idea of an eastern side of paradise in a handful of striking pieces that will make you immediately want to purchase them and saunter your way, looking every bit of a muse this summer.